Women and Makeup are inseparable. They are so related with women that one cannot imagine to step out without the extra layer. It looks like very soon makeup will turn up to be the synonym for women. So what, we are women and we love to look beautiful. Some are naturally blessed and some create that artificial look which is harmless. We are born beautiful and that extra pinch of makeup will enhance our looks. It is a must in a beauty kit. Primer helps to retain the makeup for longer hours. It blends well with the skin and ensures that the next layer is well settled. Adore your flawless skin with a foundation. It hides all your blemishes and dark spots. A medium-light coverage can help your skin to get that beautiful look. You can go with a color which is one shade lighter than your skin. We would recommend you to go with liquid foundation as it blends well with the skin and stay for longer time. You can also use concealer if foundation doesn't give you the desired look. Its a wow! Highlight the features that you would want to be noticed such as brow bone, cheek bones, bridge of nose and so on. Flaunt it! This is the final touch for all the other layers of makeup to stay blended and give an even tone. It controls the extra oil under your skin. Just one coat is enough to get that perfect look. 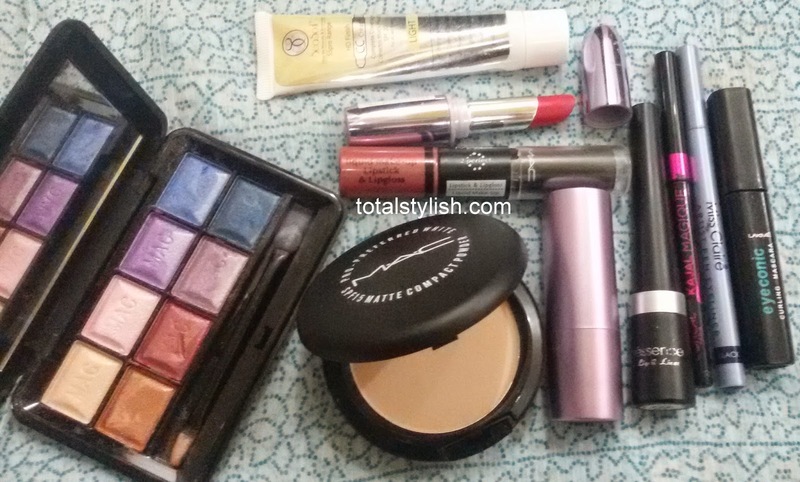 You can go with Lakme or Revlon compact as the finishing touch is awesome. Choose a color of your skin tone or a shade lighter to it. Eyes are the most beautiful part of your face and they define you. Let not those eyes be left out. The desi Indian girls are blessed with beautiful black eyes. A little eye make up would complete their look and make them more confident. Don't we all admire a beautiful outlined eyes? Kohl is very easy to apply. Choose a good brand Kohl and define your eyes. Let it take away the gloomy and dull look of yours. Apply Kohl to the inner layer of eyes and darken it. You can go with extension of it or stop it at the end. If you are going for a party, make it little elongated to from the corners. Do not over do it as it will give you a darkened look. A must for a complete look. Apply a lighter eye shadow above the lids. You can use a shimmery eye shadow on the lids. A combination of eye shadows may also work out. A lighter shade above the eye lids and a darker shade above the lighter shade will give an adorable look to your eyes. Cover your lashes with a black mascara, making it look more dense and dark. Curl your eye lashes before applying the black mascara. 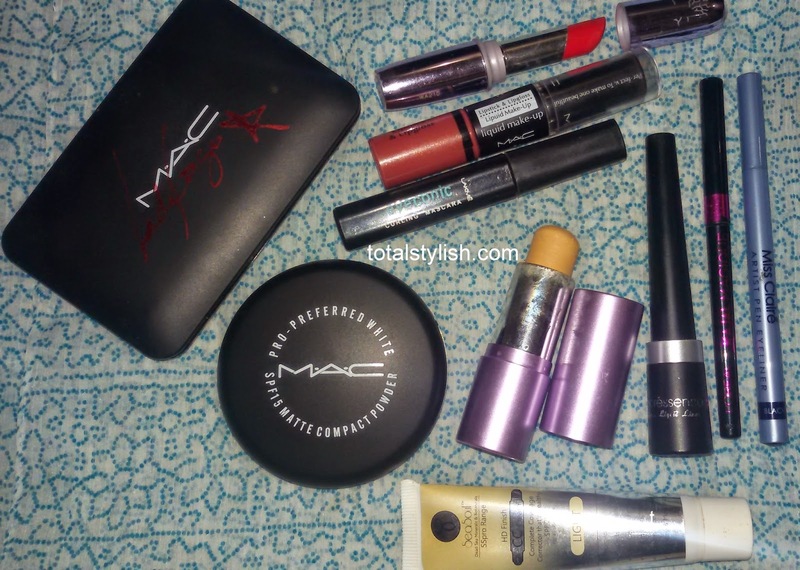 These are makeup which I think are must for every Indian girl.